Happy Release Day to My Girl Sophie Monroe!!! 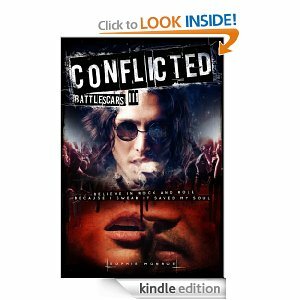 Go check out the 3rd book in the Battlescars Series!!!! 5 out of 5 again for my girl. This book was awesome! I finished it in one afternoon. I had all the parts I love. I laughed, I cried, my heart broke, it mended, it shattered, I laughed, I loved GRANNY again, then I had a huge book hangover. I can’t wait for the next chapter to their story. Two thumbs (or middle fingers) to my girl Sophie Monroe you freakin ROCK! Congrats on this great accomplishment.